Barney Gumnut is a little, cuddly koala who lives high up in a gumtree inside a tiny treehouse – and he’s here to make mealtime fun again! Each piece in Ashdene’s Barney Gumnut & Friends collection is crafted from porcelain and is adorned with imagery of Barney and his companions, illustrated by Tamsin Ainslie. Features illustrations by Tamsin Ainslie. 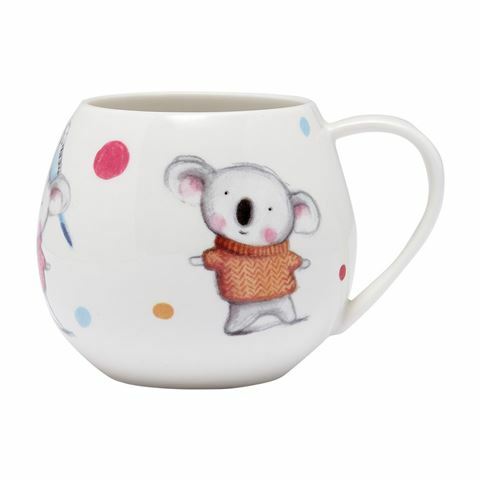 Includes images of Barney Gumnut the koala along the exterior of the mug.